Mega Sale! 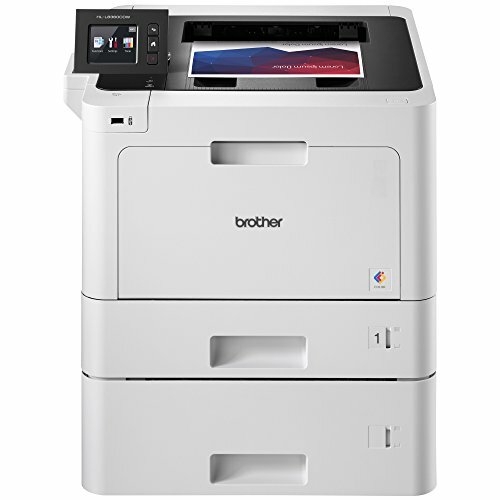 Save 23% on the Brother Printer HLL8360CDWT Business Color Laser Printer with Duplex Printing, Wireless Networking and Dual Trays, Amazon Dash Replenishment Enabled by Brother at Pacs BG. MPN: HLL8360CDWT. Hurry! Limited time offer. Offer valid only while supplies last. The Brother hl-l8360cdwt color laser printer is ideal for offices and small workgroups with higher print volumes requiring a large paper capacity. The Brother hl-l8360cdwt color laser printer is ideal for offices and small workgroups with higher print volumes requiring a large paper capacity. Brother genuine super High-Yield 6,500-page replacement toner cartridges (approximate yield based on ISO/IEC 19798) deliver low cost output. Produce high-impact color documents up to 33 pages per minute. 800-Sheet total paper capacity with dual adjustable trays and multi-purpose tray, expandable to 1,300 sheets with optional tray. Duplex printing helps save paper. Gigabit Ethernet/wireless networking. Print from mobile devices over a wireless network. 2.7" color touchscreen display. Advanced security features help protect sensitive documents and help lower costs by restricting color printing.